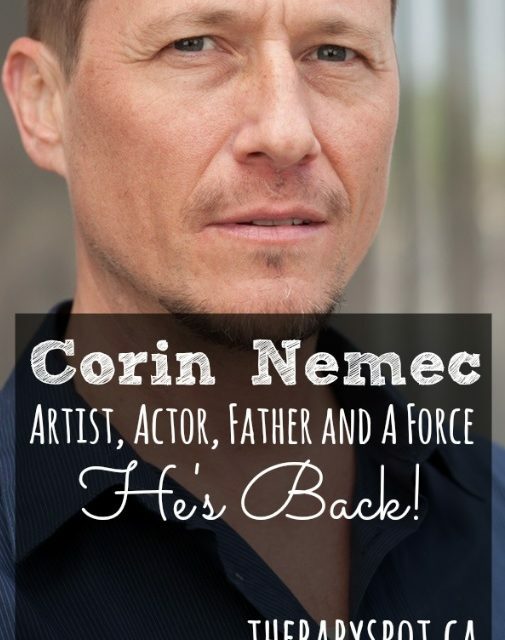 Corin Nemec, Artist, Actor, Father and A Force.He's Back ! 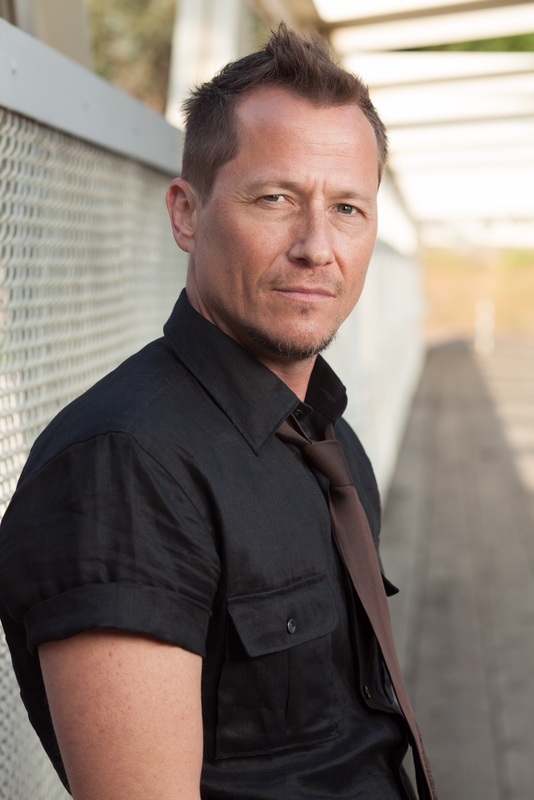 Corin Nemec has been described in many ways, a great actor, a heart throb, a fan favorite. He has appeared in countless movies and television shows and has an excellent following of dedicated fans. Today we take a different approach to Corin, though all of the above listed are true. 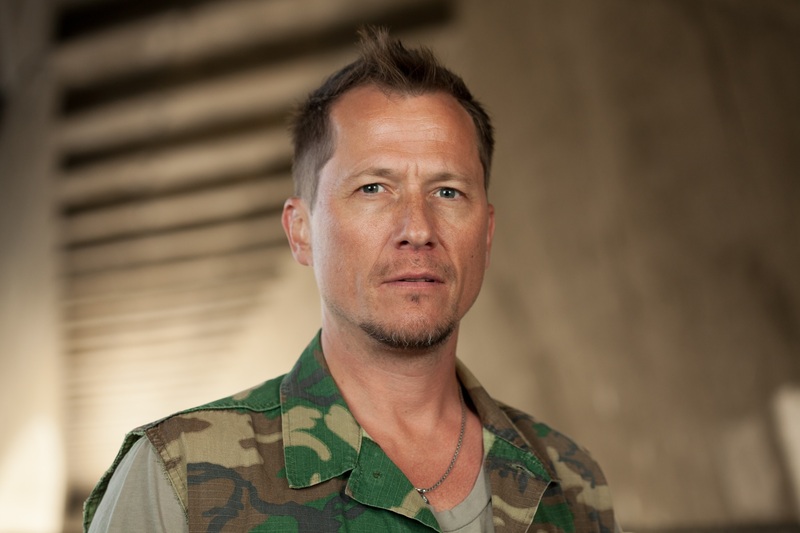 Corin Nemec is a force, a force of nature, a force of artistry and a force of human spirit. 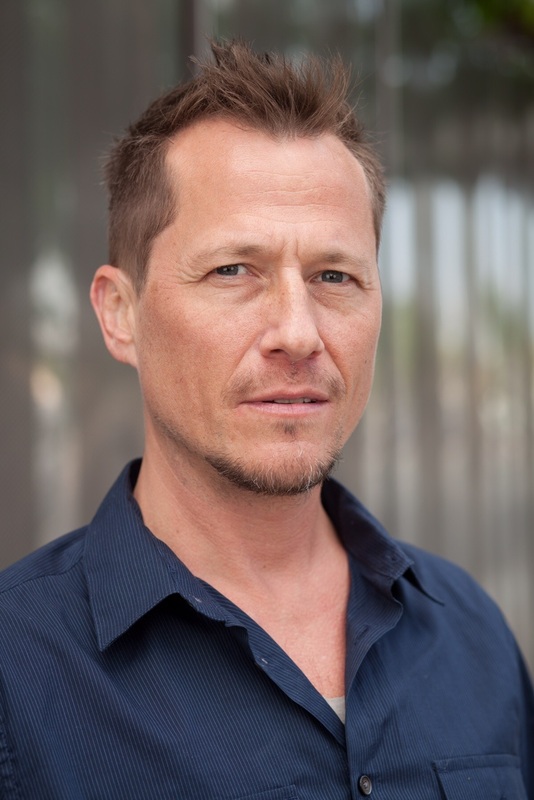 Don’t take this strength for granted, if you have the pleasure to meet Corin Nemec, you find a passionate, creative individual who is humble and yet always thinking outside of the box. Corin is a father whose two children are a blessing. We spoke to Corin about his life as an actor and he poured insight, wisdom and advice to our readers. 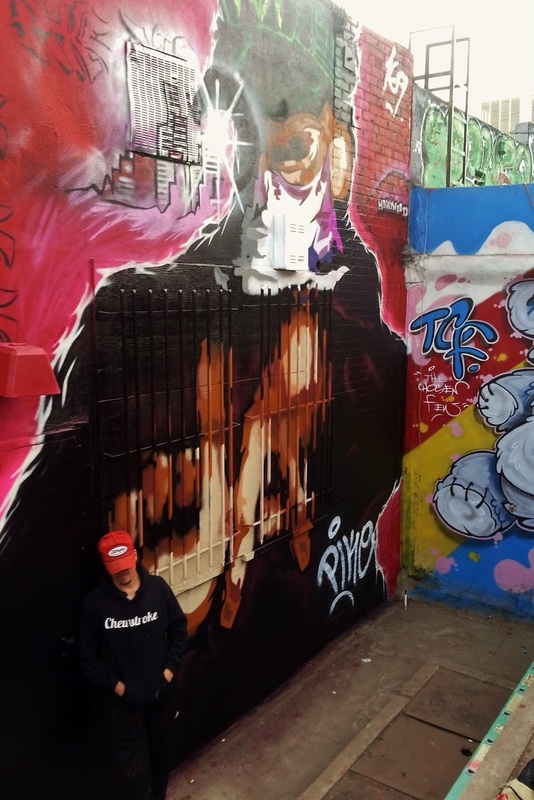 Whether you are a big fan of Corin’s, looking to get your children into acting or a huge follower of his graffiti murals/masterpieces, you are in for a heck of an interview. Was acting always a passion? Tell us at what age you knew when it was time to take center stage. When I was a kid, under the age of 11, my friends and I would role play constantly. We would pretend we were knights in mid-evil times fighting dragons with sticks for swords and a cardboard shield. We would go off into the woods for hours acting like soldiers on a mission to destroy an enemy bunker using pinecones as hand grenades and such. Acting was already a feature of my existence well before I had the realization I could do it professionally. As it happens, both my parents were in the Arts and Entertainment industry, my mother being a graphic designer for music and theater and father a set designer for film and television. Having divorced when I was one years old, I spent my time with my mother and sister in Atlanta, having moved from our home state of Arkansas, while my father found his was to Los Angeles. By the time I was 10 both parents had carved out some success in their given fields and I had a good idea of what life was like behind the scenes for professional artists. My father had just completed a Steven Spielberg film titled, “GOONIES” as the Art Director and told me it was a movie for all ages. The actors in the movie were roughly my age and I knew what it took to make the film, having been on sound stages when my sister and I would visit our father in California. It was this film that opened my eyes to the possibilities of role playing. Here, these kids got to pretend to be someone else and go on an incredible adventure, but instead of imaginary castles they were acting on real sets with real props, not sticks and pinecones. On top of that, the entire adventure would be filmed, edited together, and turned into a movie. This was the realization of a lifetime, I knew after seeing “GOONIES” that I had to be an actor. That same year my mom transferred from the graphic design department at the FOX Theater in Atlanta to the Pantages Theater in Hollywood, moving my sister and I to the land of opportunity. Soon after I joined a Theater Company called, “Center Stage LA” directed by Kevin McDermott, a wonderful acting teacher for kids and young adults. It was here I learned technique and became comfortable performing in front of people. Eight months later we had a showcase for Agents and Managers, I signed with an agency a few days later, and landed to first audition I ever had for a Suzuki Motorcycle commercial. From that moment on there was not a year that passed where I was unemployed for any extended length of time and I found myself doing exactly what I had imagined for myself, truly a magical moment for me. Shortly after moving to Hollywood, I met a kid named David VanGorder who had garnered some notoriety playing “Waldo” in the hit music video “Hot For Teacher” by Van Halen. He was enrolled in an acting workshop/theater company called, “Center Stage LA” that was run by Artistic Director Kevin McDermott. He used a lot of improvisation techniques to get his young students to feel relaxed while performing on stage. He had such success with his students that the showcases he would put on for Agents and Managers were always packed and most if not all of his students would end up getting professional representation. I learned a lot from studying at Center Stage LA and attribute all I have today to those early years spent beneath the warm lights of his studio. It can be such a challenge for many child actors to transition into adult actors but you did this with ease. Manu Tupou, artistic director at the American Repertory Company in Los Angeles worked with you. Can you give us some insight on those years? I continued working with different acting teachers pretty much my entire adult life, transitioning from youthful acting workshops to adult companies, all the while working professionally as an actor. In my early twenties I was introduced to Artistic Director Manu Tupou by my good friend Ernie Reyes Jr, whom I had grown up with in Hollywood. He assured me that Manu and his “American Repertory Company” was the best place ever to study and grow as an actor. I soon found out that Manu was not only teaching acting but was also teaching living. He would constantly tell us he was not teaching acting but was teaching lifestyle. He said that if we were wandering through life calling ourselves an “actor” we were likely insane because the only time we can actually call ourselves an actor is when we are in the middle of a rehearsal or performance, participating in the craft called acting. So we could only BE an actor when we are acting. The rest of the time we are a human being, but a human with the potential to live an artistic lifestyle. He pushed us to write, direct, produce our own projects, to broaden our horizons and pursue a deeper, more meaningful life experience. He had his own technique he developed after years of studying with the master teachers before him which he coined, “N.E.A.T.” or “New Era Acting Technique”. Manu disliked the technique he studied most, known as “The Method” or “Method Acting”, which consisted of using past moments of pain and trauma to generate emotion for scene work and well as substitution of real people from your life for characters in the fictional world of the actor. He believed this to be very dangerous and had seen many actors he grew up with basically become crazy because of “The Method”. His technique was completely creative and far too complex to get into here, but was incredible fun and worked extremely well when applied successfully. It was about believing yourself to be the character and believing that whatever the script dictated was your reality 100% so there was no need to draw from past experiences to find the emotions or relationships dictated by the script. What is your advice for children who would like to get into acting? I think the best advice I could give to kids that are wanting to pursue acting at a young age is to get into a reputable acting workshop or theater company and study the craft. Like I was taught by Manu Tupou, you are only an actor when you are acting, so don’t fall into the trap of believing you are something bigger and better than your last performance. Believing in yourself is vital to your success, but believing that you are something you are really not can lead you down a path that can change you forever. Be the artist, explore your life experience deeply, create well rounded characters, enjoy the process, but don’t let the process define you. Let your life experience and your authentic relationships define you. Love what you do on stage, but love how you do in life just as much, if not more so. What is your advice for parents who want to support their aspiring children? Parents of young actors can ruin their children’s experience of acting by vicariously living out their own fantasies of fame and fortune through their kids, or by treating their children like machines instead of human beings. If the child wants to act and enjoys acting, then support the adventure organically, look out for their safety, as you would on the playground, but don’t intervene in their playtime by trying to build their sandcastle for them, or sliding down the slide while they watch. Give your children guidance as a parent, give them structure in their lives, but don’t dictate their playtime. And if they stop wanting to play, let them stop playing. Many parents child performers force acting upon them because they want to see the results for themselves, completely forgetting about their child’s creative experience, and this can and generally will ruin your relationship with them as they grow older, and also could ruin their lives in the process. What do you do to begin to get into character for a role? The first thing I do when creating a character is read the script and gather as much information I can from what is written on the page about the character. Then I will do a backstory for the character to fill in the blanks so I have a lot more understanding of who the character is. If I have the opportunity I will discuss the role with the Writer or Director, or sometimes the Producer, so I can deliver a performance that comes as close to their interpretation as possible without jeopardizing my own understanding of the character. No one needs to know the fictional backstory I have developed for the character but me, so long as my backstory is not more important than the story the writer is telling, it should never interfere with the script and by all accounts should deepen the performance. Other than being a successful actor, you are a graffiti artist! What made you begin to express your art with graffiti? As a young kid, raised by two artists, I gravitated to drawing as my first outlet. I have been drawing since I was old enough to pick up a pencil and my artistic expression was always supported by my parents. I was inspired by how good they were at what they did as well. As I grew up, Hip-Hop became an important part of my life. There is a difference between Hip-Hop and Rap music, Hip-Hop is a lifestyle; it consists of more than just the Rapping. It also includes the DJ, the Dance Style, the Fashion, and Graffiti Art, collectively known as The Five Pillars of Hip-Hop. I was a freestyle rapper, a break-dancer, I dressed in clothes that represented the movement, and although I did not DJ, I did embrace the art form called Graffiti. Also dubbed “Aerosol Art”, I found this medium to be refreshing and exciting, not only was it the adventure it was also the scale of the paintings and the surfaces which were used to paint on that inspired me. I did my first mural at 11 years old and have never looked back since. I have had the chance to paint in numerous countries around the world and love being a part of a movement that has grown in depth as well as acceptance internationally. How many pieces and tags have you done in your career? To date I would not be able to count the amount of murals I have painted since I was a kid, 99% of which no longer exist. But this is part of being a Graffiti Artist, the practice of letting go of my creations as soon as they are finished. It is good practice for life, to not feel the need to hang onto permanence but embrace the impermanence of life, for we have to let go of it all eventually. What are your favorite cities to showcase your art? Besides Los Angeles, the city where I first started doing Graffiti Art, I have found that Melbourne, Australia is by far my second favorite place to paint. That city has found a way to embrace the sub-culture of graffiti very successfully and it is now part of their tourism as they have many places in the city where murals are welcome and artists are allowed to paint freely. Can you share any projects that you are working on? As an actor I have several projects coming out this year, one is a children’s movie to be released by Lion’s Gate called “Puppy Love” about two puppies who want to bring their owners back together after splitting up. Another is a Lifetime Movie Channel film titled “Snatched” which is a thriller about a crazy doctor who wants to steal a couple’s baby. Lastly, a movie based on a Graphic Novel published by Sourcepoint Press called “Rottentail” about a scientist that is bitten by a mutant rabbit that causes him to mutate into a half-man, half-bunny. I was a producer on this as well, along with Producer/Director Brian Skiba, who also directed me in Snatched. He is a great director with a long career ahead of him. The story is a horror/comedy that takes place in the 1980’s and was a great project to be a part of. There is already a plan in action to make a second novel and movie to follow the release of this one. You are also a Dad to two wonderful children. Tell us about your children. My daughter was born when I was 21 years old, my son born 11 years later, so both were raised almost like an only child. My daughter is currently studying to be a College Professor of English Literature, already with her Bachelor’s Degree; she is now in Graduate School for her Master’s then will continue on after to acquire a PHD. My son is only 12 now and prefers to spend much of his free time mastering online gaming, which I know is the latest craze, but does get frustrating as I grew up in a time when no of this existed, at least not to the degree it exists today. But I always tell him if this is something he loves and enjoys then he should think about making a career out of it as a programmer or designer of online games. So we shall see what the future holds for that rascal, but both of them have brought so much happiness into my life thus far I cannot thank them enough. Can you share with us what it was like to become a father for the first time? Becoming a father at a young age is nothing new or original in the history of man, in fact in earlier times it was not unusual for parents to have children when they were far younger than I. It was not an experience easily explained, as myself and my ex-wife did not have much success as a couple but have succeeded as parents. My mother had both my sister and myself by the time she was in her early twenties and still managed to raise us and have a career of her own in the process, so the idea of being a parent at that age was not foreign to me. In fact being a young parent was great fun and I loved having my daughter in my life at that age, it changed greatly my relationship to life and likely kept me on a much better path as an artist then I potentially would have chosen had she never been born. Having her and my son has been the greatest blessing this life could ever bestow. You come from a family of artists and you yourself express your creative side in many ways. How do your children express themselves creatively? My daughter, as much as she can draw well, she tends toward writing as her passion. She is an excellent writer and expresses herself in words very artistically; I am always impressed by her. My son also can draw very well when he wants to, but the distractions of the modern era tend to take away from a more artistic path and it is an entirely different experience raising a kid in the 90’s then in the 2000’s. Quite often I harken back to less advanced times and realize how much more fun and simple they were then today, how much more time we had to ourselves and such. But both of my children are very smart and advanced in many ways, they think creatively, their imaginations are full and vivid. This generation of young people are expressing themselves creatively and are able to put their art for the world to see through social media, which really can showcase individual artists like never before! How important is it for you to see art programs in schools across the USA and in the world? As times become more financially restrictive for counties and states I see that the arts and music programs are the first to go. It seems that culturally we are moving away from the importance of an artistic expression and molding the new generations to think and behave mechanistically. 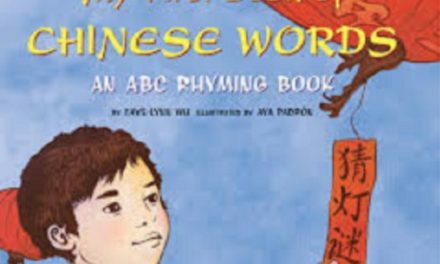 At the same time there is an explosion of artists and art forms occurring world-wide, but I see happening independently of the educational system. The new social media outlets are an incredible tool for artists today to utilize for marketing and branding purposes. Websites and internet applications greatly decrease the about of time it used to take to get noticed by your peers and the public. It is a huge help for artists in the modern era and should be taken advantage as much as possible. What do you say to traditional parents whose children want to pursue a career in the arts? Children in many cases are naturally artistic, whether they are able to draw, paint, sing, play an instrument; they still tend to think creatively. Creative thinking is just as important as creative expression. Many parents push their children to not think in wild speculative forms and instead tend to direct their thinking toward the mundane and practical. Being practical is of course important, but thinking creatively is far more important as far as I am concerned. The practical implication of creative thoughts is as an art in and of itself, so I suggest not only supporting your child’s tendency toward the arts, but also supporting their tendencies to think creatively. Dads seem to get negative attention in the media. We are currently showing fathers in a positive light, the light that they deserve. Do you find there is misconception about fathers in the media and if so, how do you think it can change? I don’t know if there is so much of a misconception about fathers as much as there is a new interpretation of what it is to be a mother. Also there is a big difference when it comes to the value of currency and how far we can stretch a buck these days. The value of the dollar due to inflation has decreased exponentially over these many decades and not the purchasing power of the dollar is far less than it was in say the 1950’s. The dollar was stronger in value and worth far more than it is today, so a family was able to live far better on less money. Nowadays it is difficult for the average family to earn enough if only one parent is working to afford a decent lifestyle. Add that to the growing popularity of career a driven woman (which is obviously a positive cultural shift) mixed with a growing divorce rate, it is surely a tough time for all families to behave in an atomic-era fashion. Modern technology has at least bridged the gap somewhat with respect to a parents ability to stay in touch with their kids while apart from one another, but it is never a replacement for actual and real time together, whether you are a single parent or still a couple. I don’t see it as father’s getting a bad rap (besides the growing number of no-show dads in the mid to lower income strata) as much as I see it as a dynamic shift in what is a family supposed to be and behave like in modern times compared with our classic definition of how the family unit. Many parents feel that after they become parents, their hobbies, interests and talents get placed on the back burner. What advice can you give them about balance? Many parents have passions beyond work and parenting, these interests should never be left behind. In fact these extracurricular activities can become a bonding opportunity with their kids. Participating in the activities with your kids can be life changing. If you like to camp, fish, sew, rock-climb, jog, ride bikes, work-out, paint, whatever the hobby may be, there is always an opportunity to do this as a family or as a single parent with your children. And if you do not have a hobby but your kids do have one, the same is true there too, you can embrace their hobby and enjoy time doing whatever that activity is with them. Obviously we seem to have far less time these days than ever before, but any time spent is good time spent when it comes to bonding with your kids. How do you stay grounded as a parent and as a person? What keeps me grounded in life is my relationship to living, what it is I choose to do and how I go about doing it. For instance, I do all of my own house and yard work, this surely keeps life in perspective, as simple as it sounds. Not that there is anything wrong with employing someone else to do work for you, that is healthy in society for sure! But for me it is keeping life simple that helps keep me grounded. Not engaging in an egoistic state of mind is also a factor. I try to take action and behave toward others as I would expect them to behave towards me even if they do not. My art is also a big part of that, going to alleyways in rough areas of the city to paint keeps me grounded. Staying true to my roots, so to speak, that keeps me grounded. You have lived such an interesting and inspiring life. How important is it for parents to stay authentic with all of the day to day stressors? In the long run, our kids will look back over their lives and see a pattern of behavior in their parents that will paint a picture of who we are to them, good or bad. If there is a consistency in positive actions and passionate attempts at making a better life for ourselves and loved ones, our shortcomings will not be the main focus of their memories. 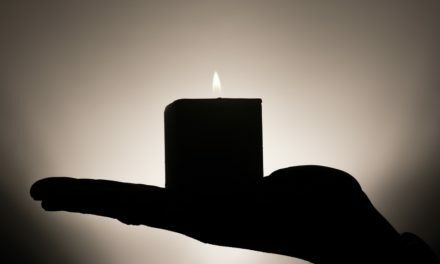 Doing the best we can and treating those around us with the level of respect they are deserving of, loving our children and partners through easy and difficult times, rising to the occasion when needed most, this and more will keep our relationship with life and the people in it truly healthy and authentic.